This thread contains all the mods that I have released so far. If these rules are broken then you will be punished accordingly. I hope you enjoy these mods! Overwrite every file from previous versions just in case. Powers: Blue = Offensive, Red = Boost, Green = Xtreme. Light Beam Northstar releases a beam of bright light, causing energy damage. Energized Uppercut Does an uppercut powered with light energy. Causes Knockback. Blinding Flash Northstar radiates bright light that confuses enemies. Split-Second Jab Moves at supersonic speed and uppercuts enemy. Accelerated Shockwaves Vibrates rapidly and pushes the ground, generating shockwaves. Dual Light Beam Releases double beams of bright light, causing heavy energy damage. Shooting Star Through focus, Northstar can increase his speed to even higher levels than normal through the manipulation of kinetic energy. This allows him to move and attack quicker, whilst dealing extra damage due to the extra force behind his blows. Tampered Powers Due to the tampering of the Children of Vault, Northstar becomes stronger, reducing damage taken, and increasing physical damage. Radiating Star Radiates built-up light energy, frying circuits and causing radiation damage. - Age of Apocalypse costume fixed. - Miscellaneous edits to powers for balance. a/b - Attempts to solve how certain powers are "broken" - Replacing every file with the ones I use and know work properly. - Black boxes around icons fixed. - Voice sounds made louder. - Fixed sounds that refused to play. - Make voices less buzzy. Warning: May contain traces of flashing images which may induce seizures. I do not accept responsibility for any epileptic seizures that you/your parents/siblings/grand-parents/pets may have. May not be suitable for vegetarians, coeliacs, the lactose intolerant, expecting mothers and those who dislike the French... Not! Gr8 job man, I'll give it a try as soon as I get home. I hope you (and everyone else) enjoy it. Dihan thanx a lot for this great mod, i havent try it yet, but i'll do it as soon as i can. I like alpha flight a lot, so this mod is one that i have been waiting for a long time. By the way, are you planning to do some guardian mod? 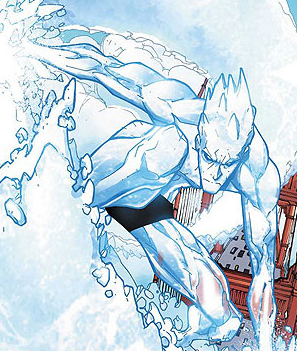 (from alpha flight too), i'd be very grateful if you could do some guardian mod, because thats one of my favourite characters since childhood. I thing theres some guardian skin or mannequin, so maybe this could be a starting point. Anyway thanx a lot. Keep working like that. Saludos desde españa. I don't feel that I'm anywhere near good or clever enough to create my own mod, hence why I've done a conversion. 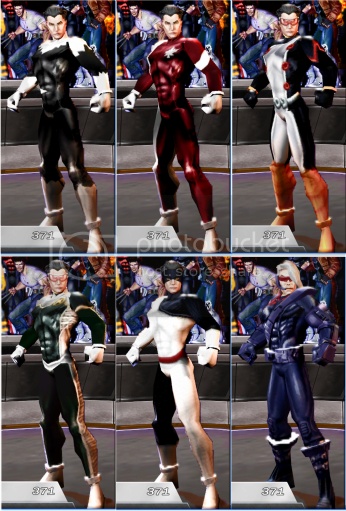 Also, I was only really planning on doing Northstar from Alpha Flight because he's also been a member of the X-Men. Someone will probably make Guardian sometime it probably won't be me though, sorry. What I want to convert next is likely to be way too difficult (maybe near impossible) for me to pull off. But first I have a rest. You have used 20301 slot, and i think that slot is already used by hawkeye. Hawkeye is 171xx in the character coordination thread. Only 20301 in actors was taken I searched for whatever was in that .IGB in the texturefinder and couldn't find anything at all. Also, 203 was listed as empty for the Character Coordination thread. If it becomes an issue then I'll shift them up one, 20302-09 are empty. mmmmh... selecting the AOA skin crashes the game. ok i'm sounding a bit negative but it's still a good job. just a couple of things to fix. I know, and I said so in the first post. I don't know how to fix it, the skin is there and it's been referenced properly and whatever, but it refuses to work. I've double checked and triple checked the .igb and it just won't work for some reason. I may just re-import the .bmp onto a fresh version of the skin just to see if that fixes it. Ok, that fixed it. I'll re-upload it now. 203 was Hawkeye's old slot when it was first converted from PSP. There's a recent post in the Coordinational Concepts thread that updates the slot list as much as I could given recent releases and reservations. Do you mean Energized Uppercut?